September 6, 2015 in FAST FOOD ITEMS. 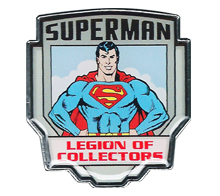 I will occasionally feature bootleg Superman merchandise and explain why it is always better to get the officially licensed versions. Many knock-offs look pretty bad but, at first glance, these Chinese figures seem like the official Man of Steel Movie Masters figures. However, there are differences. September 2, 2015 in BOOTLEGS, FIGURES / STATUES. August 26, 2015 in FAST FOOD ITEMS.